Chutney is a side dish in the cuisines of the Indian subcontinent that can vary from a tomato relish to a ground peanut garnish or a yoghurt, cucumber and mint dip. 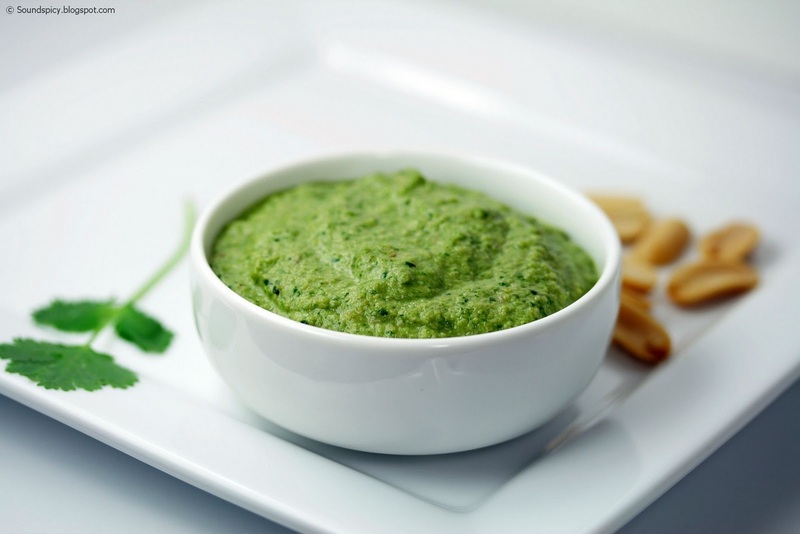 Green chutney, usually known as hari chutney, is a versatile Indian condiment that can be used in many different ways. It is best used as a condiment with grilled or fried food, but may be used a spread or dip too. In its basic bare bone form, green chutney is a blend of coriander, mint, chilies and lemon juice with different spices.